This area is in the transition from South East Asia to the Australian mainland. The Iron Range and McIlwraith Range is a unique rainforest area that has birds, insects, animals, reptiles and plants not found in any other part of Australia. Some species are found in parts of New Guinea, as well as here, like the palm cockatoo and the green python. The unique biodiversity of this area has been maintained because the area has been inaccessible, especially during the wet season. Scientists are still finding plants, insects and butterflies in this area of Cape York that have never before been recorded. There eighteen species of birds found only in this area, some of which migrate from New Guinea during the wet season. You may see the magnificent rifle bird, eclectus parrots, or even palm cockatoos. The red bellied pitta is another bird that comes from New Guinea and can be seen in this region. One of the most famous and photogenic snakes of this area is the green python. There are lots of different snakes here, as in the rest of Australia, but as far as we are aware, no one around here has been bitten for many years. You may spot a spotted cuscus, cassowaries, crocodiles, wild pigs, wild horses, wild cattle, or dingos, just to name a few. 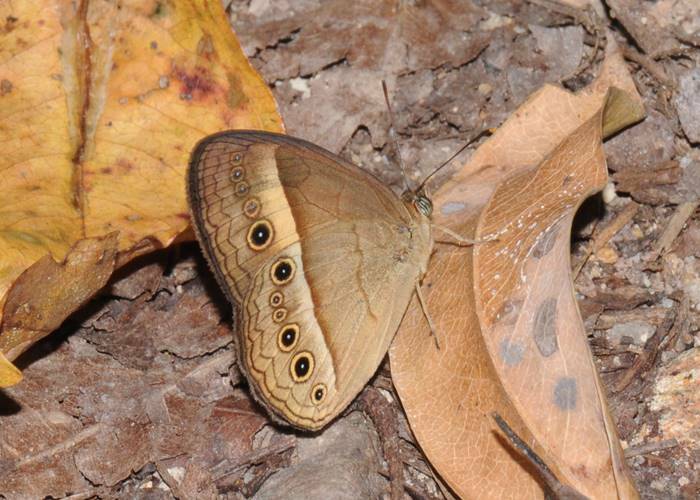 There are incredibly beautiful butterflies in the Lockhart River region, too. Check out our photo gallery for pictures of all sorts of amazing creatures that can be seen in this region of Cape York. We've got frogs around here, like the white lipped green tree frog, the scarlet sided pobblebonk, the gracious frog, and many more. Unusual plants abound, too. See if you can spot a carnivorous pitcher plant, some of the numerous orchids of this area, or check out the ant plant and it’s symbiotic relationship with the ants – both depend on each other for survival.